Kenongo is a village located in the southern region of Sidoarjo. As well known with the milkfish and shrimp, lately Sidoarjo also becomes famous with handwriting batik, one of those handwriting batik crafts is Kenongo Batik. 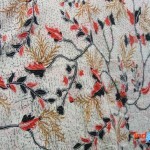 There are lots of designs from traditional Batik that made by craftsmen in the Kenongo Village. The number of population in this village who work as craftsmen batik, making the Kenongo Village is used as a center of batik industry in Sidoarjo. If we visit the Kenongo Village, so we can learn to understand the process of making batik directly. Besides on that we can also find green farmland still a lot along the way with natural calm and beautiful scenery that can refresh our mind. Diligent, creativity and hard work is the main asset to build the successfulness among the Batik craftsmen in Kenongo Village. Kenongo Handwriting Batik was established in 1979 by Oesman Jasir. 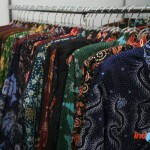 After retiring as an employee of the state court in Soeharto’s era, Oesman was open batik industry in Sidoarjo. 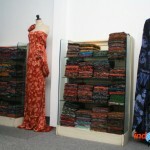 Kenongo Batik is only at Jl. RA Kartini 18-20 Sidoarjo. Many various rewards are achieved from within the country and abroad for his work so that Kenongo Batik be the icon town of Sidoarjo batik. The quality of Kenongo Batik has been recognized in worldwide, even, it already received five awards from some countries, like Spain and France. Hence, the price is also appropriated by the quality. This characteristic is forwarded by Mr. Kunto Oesman (son of Mr. Oesman Jasir) on batik patterns and motifs although there are slight changes but the charisma of design still thick with symbols and meaning noble. 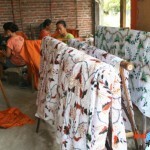 Starting from the intention to open his own business as well as to preserve the cultural heritage and promote the Kenongo Batik motif for young people, then Mr. Kunto has been established “Batik Kunto” since 2005 with variety of batik motif is displayed to the expressionist batik or painting batik. Batik Kunto creates and designs their own batik motifs with the motto “One Product One Design”, so motifs are generated more exclusive and not made mass except for certain requests, such as for office uniforms, souvenirs and others. Within Kenongo particular design, the craftsmen of Batik Kunto put the touch of modernization and traditional culture into the masterpiece, like the pattern of shrimp, milk fish or heron were the first patter design in early Kenongo design. 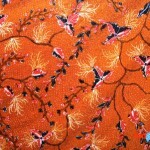 The colors are tend to be bright, unlike the Solo or Yogyakarta batik which is tend to has soft color. Those particulars are become the icon from Kenongo Batik. 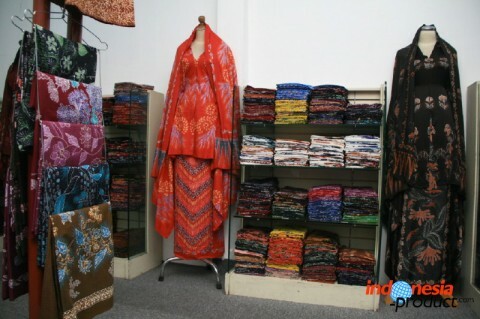 If there is an opportunity to come Sidoarjo, then don’t forget to visit Kenongo Village and buy a variety of Kenongo Batik in Batik Kunto Store. 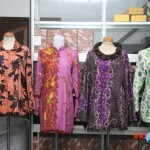 Find here the original Sidoarjo Batik and choose your Batik style!